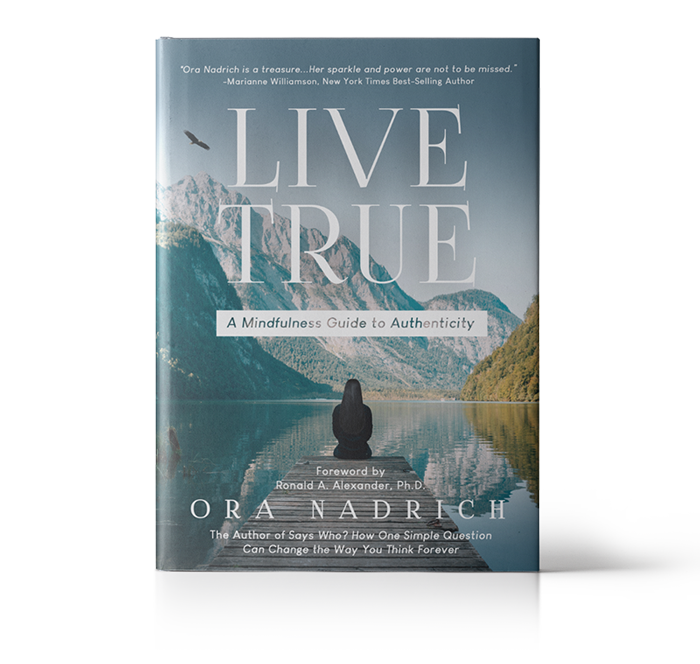 For those weary of this me-centric, materialistic world and yearn for a more present, more compassionate way of being, Ora Nadrich’s new book, Live True – A Mindfulness Guide to Authenticity, offers an answer. Nadrich is founder of the Institute for Transformational Thinking, helping people connect to their inner awareness and live more truthfully and authentically. 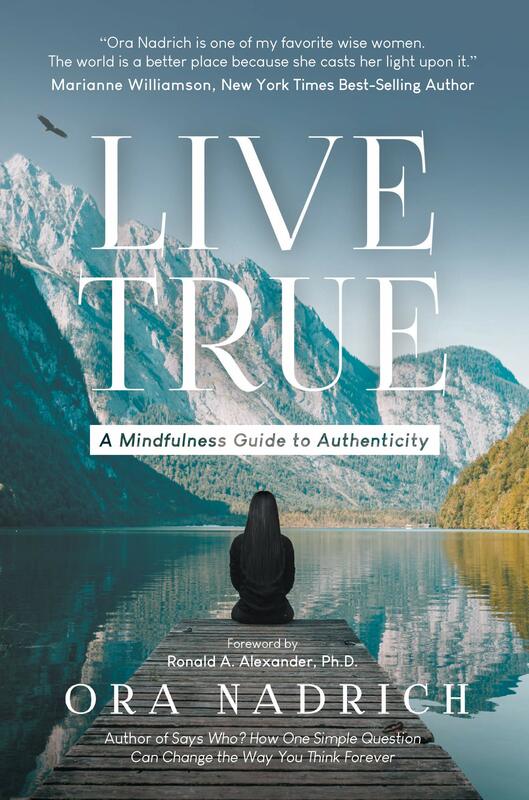 In Live True, she coaches readers to take time to step away from the hectic pace of their lives and find refuge in their authentic selves. The book is divided into 30 short chapters, each building on the last, and ending in a Mindfulness meditation so the reader can sit with the message. Nadrich starts by examining Time, sharing how to bring attention to each moment of our lives and awaken to the “Now.” When we’re in the present with total awareness, we can observe our lives unfolding and become better able to experience them with acceptance. Acknowledging how our minds tend to be “future chasers” or “past dwellers,” she offers ways to allow us to do so mindfully, bringing these wanderings into an intentional present. Practicing Mindfulness doesn’t always have to entail sitting in isolated meditation. It can take the form of walking in nature and noticing the shapes, colors, sounds and smells. Or, if we’re caught in traffic or using public transportation, she shares “life gazing” tips for simply noticing what’s taking place around us. The message is to take ourselves off autopilot and practice observing. Nadrich addresses how to face suppressed, uncomfortable thoughts that may arise when we start to examine our inner selves. She offers advice on how to question the negative and critical thoughts we often tell ourselves. Using an analogy of a dark, haunted house, she invites readers to open the windows and air out the rooms that have we have kept closed up. By re-examining unpleasant memories, readers can experience them in a new, more accepting way. She shares a Meditation for Emotions that empowers readers to handle any difficult feelings they experience. Learning to live in a more mindful, authentic way has value beyond the personal level. Not only does it allow us to more thoughtfully and intentionally choose our life path, but, believes Nadrich, it creates a better reality for others as well. Live True shows readers a way toward healing their own spirits and, in turn, that can begin to heal the ruptures that keep us divided. Find out more at OraNadrich.com.